Hi all, I have had a problem with putting my HOn3 locomotives and cars on the track. 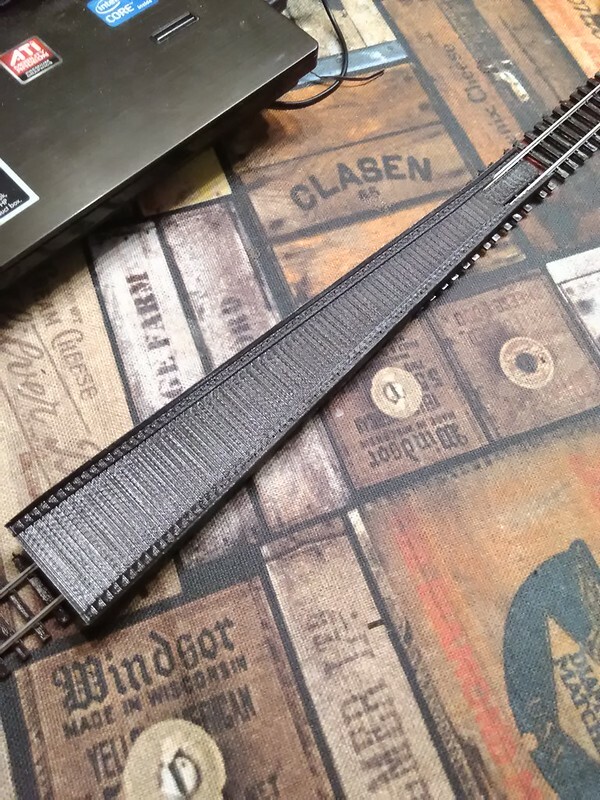 On my standard gauge I used a plastic rerailer ramp. I heard that there was a commercially made rerailer ramp available, but I haven't seen one in many years. I designed it in Fusion 360 and printed it in PLA on my Wanhao Duplicator 4S. I model HO and I have 2. They are great when changing cars on the layout. Folks modeling the narrow gauge will be mighty happy when they see this is available. Thanks, I have uploaded it to Shapeways now. It has some changes made to minimize the materials used (to reduce cost).